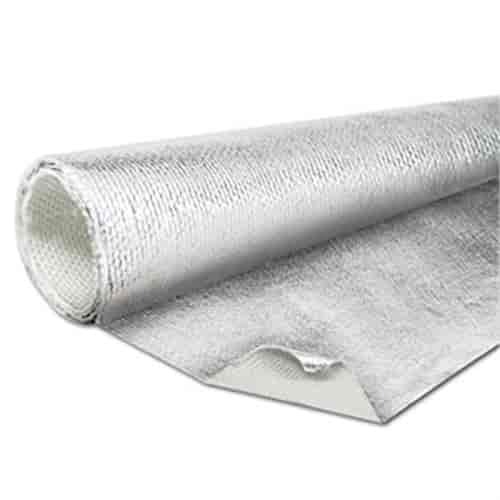 Thermo Tec Aluminized Heat Barrier 36" x 40"
Thermo-Tec Aluminized Heat Barrier is a universal, highly flexible shielding that can withstand radiant temperatures up to 2000°F and conductive heat temperatures of 750°F. The Aluminized Heat Barrier is made of a woven silica with a reflective aluminized finish that can be installed using standard rivets with a backup washer or weather strip adhesive. The Barrier should be installed with the metallic surface facing the heat source and can be used to either hold heat in, or reflect it away.